It's no secret I don't love to cook. It's not really that I don't like to cook, but that I usually don't have the time. Between running kids around, helping with homework and getting everyone to their practices and games every evening, I'm usually rushed to figure out something for everyone to eat. 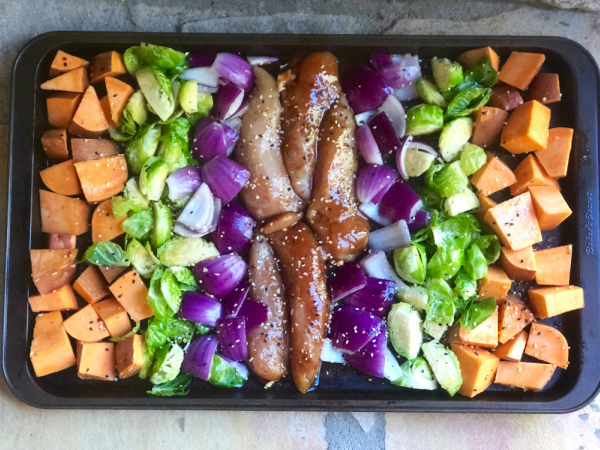 I finally found something that is an easy week night dinner and one that makes *most* everyone happy. 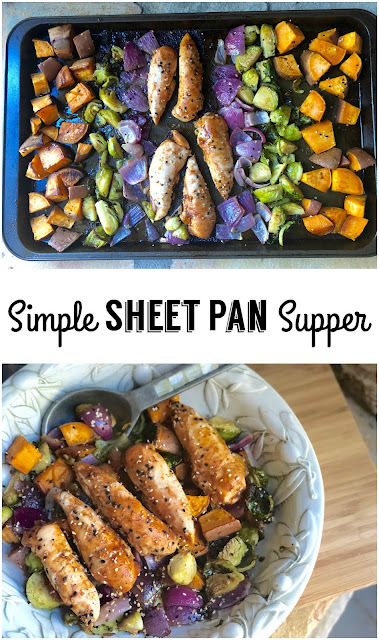 Simple Sheet Pan Suppers are my new go-to. 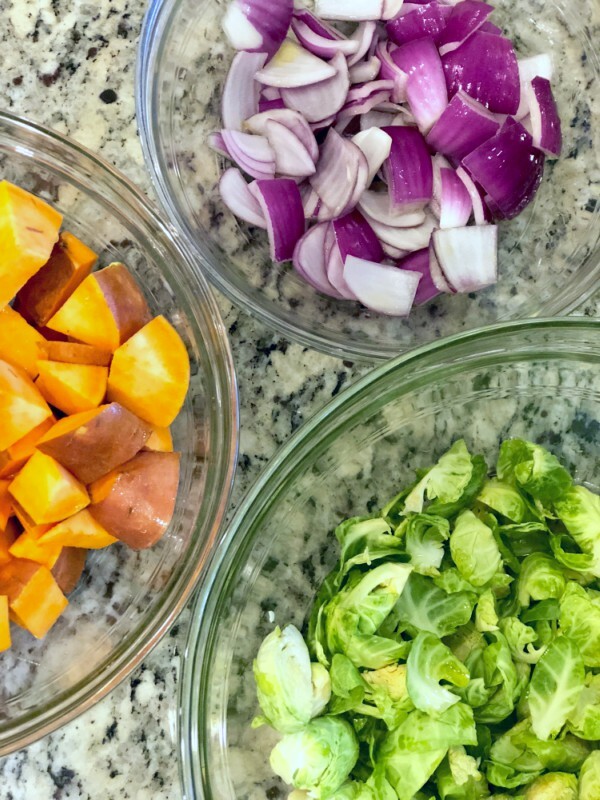 Literally you just chop up some vegetables, add some meat and seasoning, and bake. 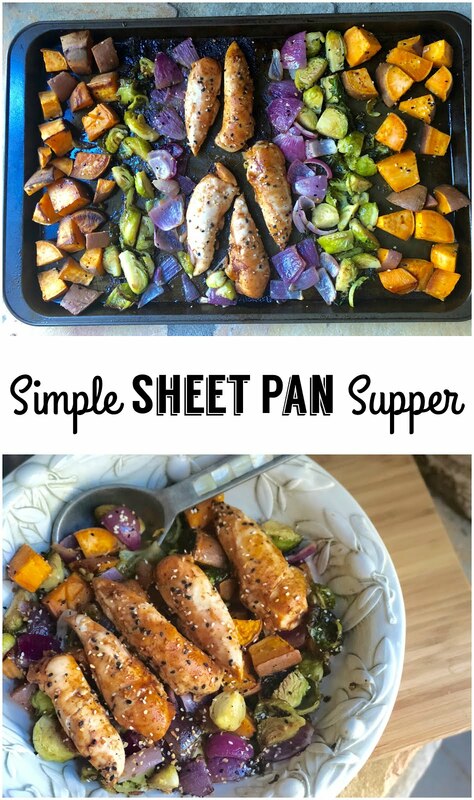 One dish, one healthy meal, one less night to have to worry about dinner. Plus, it's so very colorful that makes me feel good about feeding my family! There are so many variations of this meal. Just by swapping the vegetables, meat and marinade you can come up with a ton of different meals! I'm sharing this recipe and a few ideas for switching it up over on Savvy Sassy Moms. Be sure to head over and check it out!